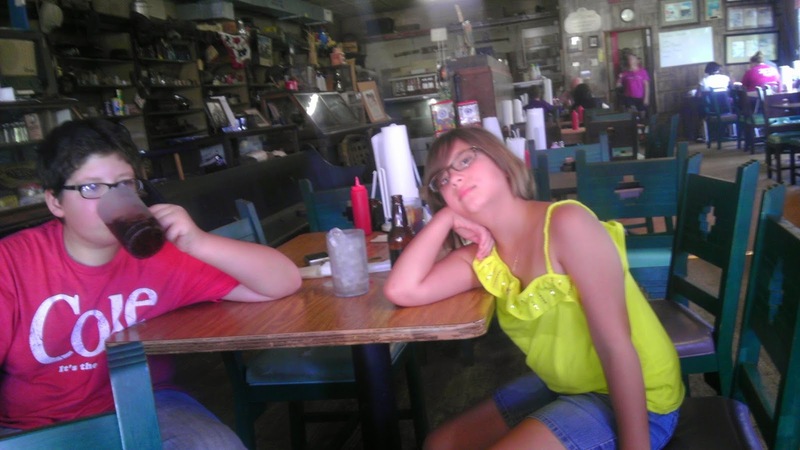 My two kids in front of Cotham's after dowing a Hubcap and a Lugnut. I found myself last week, once again, on my way back from Dallas, Texas. This was the first time I brought my children on one of these cross country trips. We had an exceptionally great time, eventually stopping at the Space Camp in Alabama, and traveling more than 2500 miles. It's strange to me how in a few weeks time I'll be boarding a plane for Europe, but on this trip I was miles in the middle of now-where-Arkansas, looking for a dilapidated old general store with no mobile phone service. Travel is the best test for adaption. I love moving from one place to the next, meeting different people, finding myself reacting to altered realities. 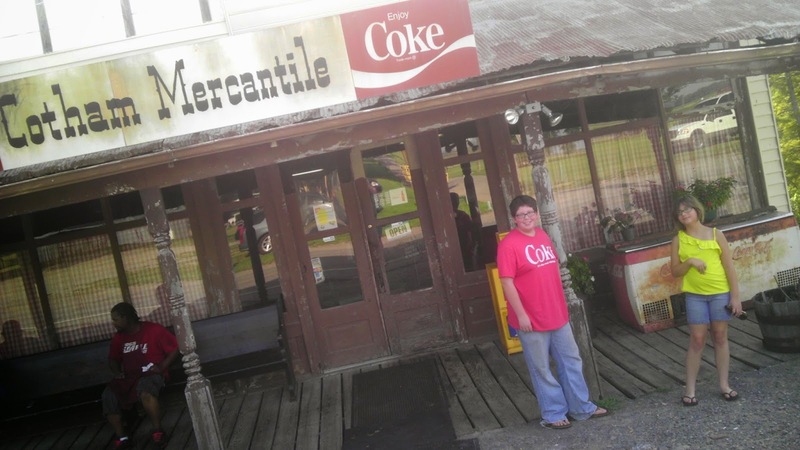 Such a place is that of Cotham's Mercantile in Arkansas. it looked smaller in person than on TV. It's about fifteen miles outside of Little Rock. There is no cell service (at least for my phone), and there's not another business for miles. Honestly if you didn't know the place was there, you'd drive by thinking its was an abandoned relic from hundreds of years ago. However, Cotham's is a pilgrimage made famous from the Travel Channel's Man Vs Food television show. 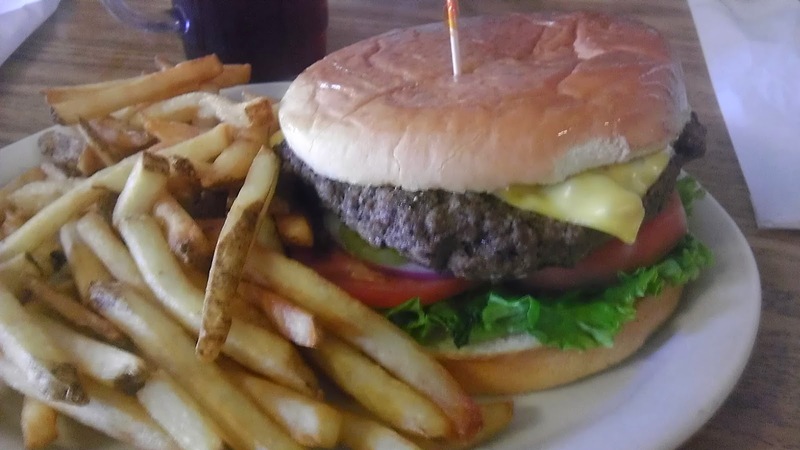 They're home to the Hubcap Burger, and its served from a century old general store. Originally designed to feed adjacent farmers, Presidents Clinton and Bush visits here have added to the fame of this place. We had starved ourselves the entire day by the time our road-trip landed us at Cotham's, and the place didn't disappoint. The place was like of Western movie. You could see remnants of the former general store in plain site. It's as if nothing had really changed in the last 100 years, they just pushed the counter out of the way, tossed in some tables, and started serving burgers. Massive burgers, like the nearly 1 lb Hubcap Burger. If that's not enough, you can order it in a double, triple, or the fan favorite, the quadruple. It's seasoned well, and while not the best burger I've had on planet Earth, it's darn good, and very tasty. Don't forget some onion rings or green fried tomatoes. It's an amazing novelty in a surreal landscape, that's worth every dime. It's like going back to the future, except they serve modern, great tasting soul food. If this place was in Disney Land you would imagine that it came right out of the movie set, except, this is the real-deal. It's authentic, and that makes it kind of cool. So strange it was, but I'm now home and enjoying normalcy. Normalcy, it's so overrated. Who wants to be normal when the next adventure is right around the corner?